I've bought several items from "WE", and have been very pleased with the quality and fit. Because of the great products, I have had no need to contact customer service. If customer service is anything like their products there should be no problems in getting help. Thanks, "WE"! I never fail to be impressed by the Emporium's swift and efficient service. I have shopped with the Emporium many times before and will continue to do so - excellent prices for high quality products with shipping times t hat can't be beat; let's hear a few rousing huzzahs for the Emporium and their fine work! Everything was just great, loved the quality. These sturdy vests are perfect for our Historic Site. Many volunteers, full time staff, seasonal staff and Illinois College Interns wear clothing from our closet and it is very important that we are able to keep up with the wear and tear of our garments. These vests are so well constructed that I believe they will serve our needs for years to come. The price and quality cannot be beat. Jane Carrington Lincoln's New Salem State Historic Site Petersburg, IL. Wonderful stuff I can't get anything like this in the UK, will definitely be using you again, and have recommended you to all my friends, thank you all. 5 Stars 5 Diamonds and 5 Woohoo's!! Spoke and emailed Eve in customer service several times. She simply is the best! Took care of everything on back order with a smile in her voice and professionalism. Can't say enough good things about her! Items shipped quickly and very well package. I have ordered several items from Historical Emporium, and every one was superb quality. The customer service was great and delivery was prompt. I highly recommend this web-site... you won't be disappointed. Service was great. I received my shipment within a few days. Very pleased. Will order again. The vest is excellent quality. And as described on line. It is the 5th vest I have bought at the emporium. I am still looking for one of this quality in a slightly different shade of green: suitable for both St Patrick's day and Christmas season. Return of merchandise was easy and confirmation was timely. Shipping charges were on the high side, had to pay both ways. Had to "return" not "exchange" to avoid paying shipping 3 times! Fabulous service and delivery! I purchased 4 items (dragon vest, walking stick, pin, pocket watch) and all the items met or surpassed my expectations. I had emailed some questions about the vest I bought and was really impressed with the next day response I received. My only wish is that the smaller vest sizes were available in "tall" as well, because the small dragon vest is about 2 inches too short for my skinny 6 foot son. It looks far too nice to send back so I've bought matching lining fabric and am inserting a piece in the shoulder to lengthen it. It was a challenge to pick apart the shoulder seams which really speaks to the workmanship on this product ... very neat sewing with super small stitches. Amazing quality for this day and age. And the pocket watch is gorgeous. If I ever need Victorian clothing again, this will be the only place I'll shop! Excellent and friendly customer t hat goes the extra mile!!!! Eve was great and will ask for her again. Great job! Excellent service! The item I ordered was originally too small, but return and exchange process was quick and without issues. I have since purchased several other items from them and they have all arrived in a timely manner exactly as described. Superior quality dress shirts. As nice as any high end mens clothier. vest are great and better than anticipating. Had to wait awhile to get this order but product was worth it . I recommend the Gentleman's Emporium often. 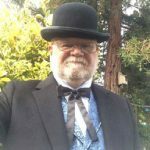 The Best steampunk and Victorian clothing on the web! Everyone was vry polite and professional. Ordering was so simple and quick. The items I ordered were delivered in a few days! Our order arrived much quicker than I had expected. As it was for our son's Birthday, t hat was excellent! Great products and timely delivery. Extremely well-made gaiters, and I received them quickly. Great shopping experience. Wow, all I can say is wow. I was completely satisfied with quality of service and products. I will be purchasing more.